It’s currently [insert number found on this site] days to Christmas and you’re either in two camps; calm as a cucumber and ready for the big day whether you celebrate it or not, or stressing out because once again it’s the day everyone is pressured to give SOMETHING to someone and fulfil an unwritten Christmas law. We promise ever year we’d start sooner or worry less about spending as much money, but we never seem to learn the lesson. But I’m here to say ‘don’t worry’; I have once again compiled a list full of ideas to fill your head and internet baskets up with. So put the kettle on, get comfy and open up those tabs as we get ready to cross off that Christmas list of yours! Just because you’re strapped for cash, doesn’t mean you can’t give the gift of anime or manga! 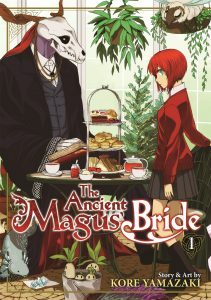 Many single volume manga fall safely into this: Tokyo Ghoul, The Ancient Magus’ Bride, Is It Wrong to Pick Up Girls in a Dungeon?, Attack on Titan, and much more. Introduce your loved one to a new series or get the latest volume they’re reading. Does a friend have a Kindle? They can purchase several manga omnibuses for a cheaper price, so why not get them a voucher? Although TV series are hard to come by within this price bracket you can get the Bleach series in parts for cheap, if you’re unsure they want to dive right into a full set. Older, shorter series such as High School of the Dead sneak in here and can be a bloody surprise on Christmas Day. Even Supernatural: The Anime Series just makes it into this margin. 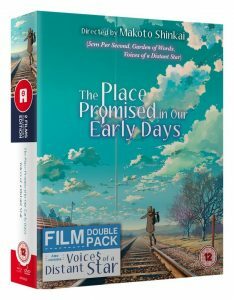 But you’re more likely to find films for under a tenner; ranging from Makoto Shinkai’s Five Centimetres Per Second, to Mamoru Hosoda’s Summer Wars. Studio Ghibli’s Spirited Away just makes it in here too. 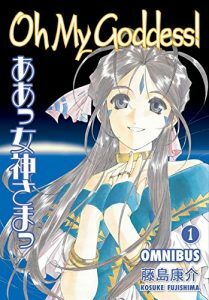 If you’re sold on getting them literature, omnibus manga is the way to go, especially for long-running series such as Tsubasa and Oh My Goddess! which can be a salary by themselves if you purchase them all. But there are also many other wonderful series to invest in; the collector’s editions of fan favourite Fruits Basket, the classic Astro Boy is out in bigger volumes, plus the Evangelion main series AND spin-offs have had the omnibus treatment. The murder mystery series Monster has all volumes out in the same format and vampire fans will love Dance in the Vampire Bund. In addition, you can grab some light novel collections, such as the yuri series Strawberry Panic in omnibus form, within this price bracket. 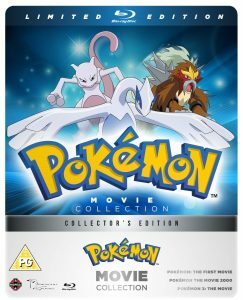 In terms of physical discs, a lot of newer series that are split into parts (television series for example) or are shorter in length can be purchased for this budget. The Devil is a Part Timer or part of Kill La Kill would make great little gifts. You can grab RWBY seasons 1 – 3 in steel book form for this price bracket, or DVD editions of Another and Elfen Lied if you happen to be buying for a horror fan. For movies, Studio Ghibli has most of its library (including double play) within your budget but there’s also an eclectic variety of anime films from A Letter to Momo to The Empire of Corpses that shouldn’t be ignored. Got a friend who loves a nostalgia trip? The 30th Anniversary steel book edition of the original Transformers movie is the right way to go, or even the Pokemon movie collection to satisfy the 90s kid at heart. Did a friend of yours go see Makoto Shinkai’s Your Name in cinemas and love it? Treat them to The Place Promised in Our Early Days/Voices of a Distant Stars twin pack. The Miss Hokusai Ultimate Edition would make a delightful surprise under the tree as well. As for TV series, there’s loads of stunning Blu-ray collections to brighten up your friend’s faces for old and new shows. Just think how pleased they’ll be when they unwrap Chobits, the new Death Note complete collection, or Yurikuma Arashi on Christmas Day. You can’t go wrong with the new shinier collection of Cowboy Bebop as well, especially if they’re a veteran anime fan. At the top end of the scale there’s also several limited editions to snag: Eden of the East, Assassination Classroom, Gankutsuou: The Count of Monte Cristo and Monthly Girls’ Nozaki-kun make it within this budget. Got someone special who deserves the extra few pounds spent on them? Luckily in recent years the UK has been fortunate to receive special editions of many series. The movie collection Garden of Sinners can be snagged for £60, whereas buying just one season of Fate/Stay Night UBW will set you back easily £70 if you’re going for the Blu-ray editions. 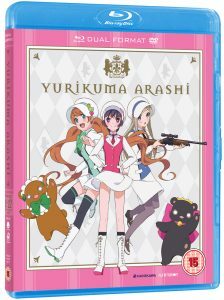 Anime Limited have lots of lovely special editions for those with the money to splash such as Aldnoah.Zero, Terror in Resonance and The Tatami Galaxy, just to name a few. Taking another step up the price bracket is the Ultimate Blu-ray edition of Vision of Escaflowne; 760 minutes equals £100+. The full Blu-ray edition of Full Metal Panic has all 3 seasons for a similar price. If you really want to push the boat out, however, Fullmetal Alchemist fans can practically drool over the limited edition version of the 2003 classic anime, and that’s just for the bonus features written on the web page! 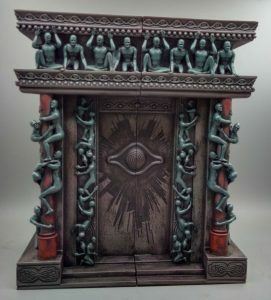 It technically comes out on Boxing Day, but imagine how surprised they’ll be when they see this delightful set appear on their doorstep when they least expect it. 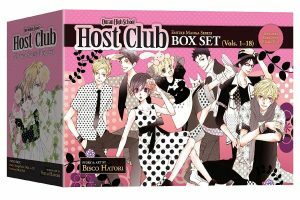 Don’t forget about manga; if single volumes or omnibus aren’t cutting it, you can grab many box sets of several long running series. Give someone a complete collection (e.g. Claymore, Death Note, Ouran High School Host Club) or the first push into a lengthier running story (Bleach, One Piece and more). All prices are correct at the time of writing this article. Have a Merry Christmas and Happy New Year from everyone at Anime UK News!